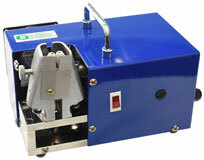 Overview of range of machines for stripping insulation laquer and enamel from magnet wire. The S01 is a compact wire stripping machine providing a fast and inexpensive method of stripping enamel an laquer insulation layers from magnet wire. To strip the wire, simply insert the end of the enamelled wire, turn by 90 degrees and then remove the stripped wire. Suitable for a large wire sizes up to 8mm, round, square and rectangular profile wire. 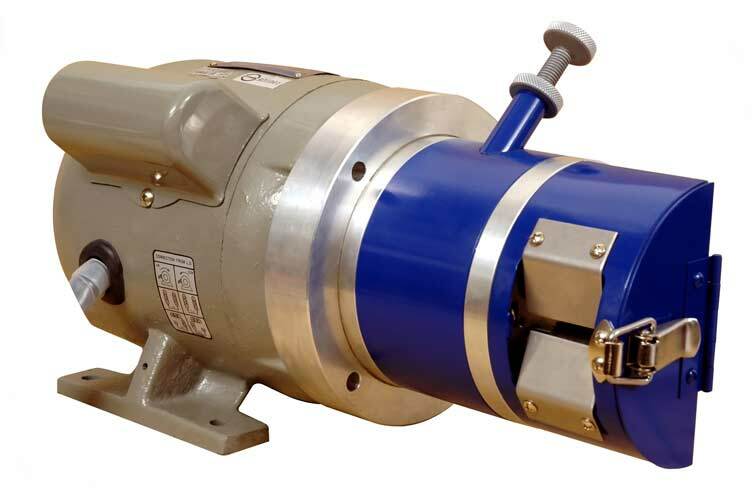 The S02 is a compact wire stripping machine for mechanical stripping of enamel and laquer insulation layers from fine magnet wires up to 0.4 mm maximum diameter, round only. 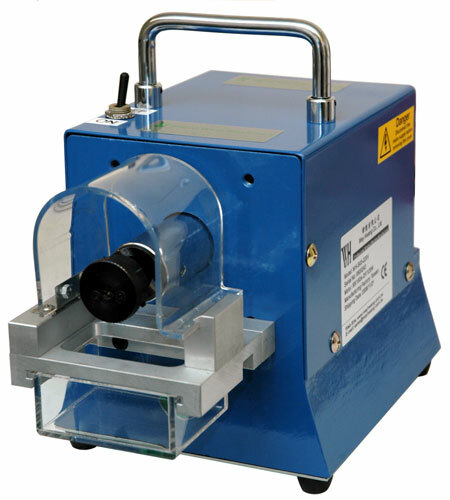 The S03 is a compact wire stripping machine, A fast and inexpensive method of stripping enamel and laquer insulation layers from medium sized wires from 0.3 mm to 3mm maximum, round wire only. To strip the wire, simply insert the end of the enamelled wire, and then remove the stripped wire - as it has a rtating head only works for round wire.